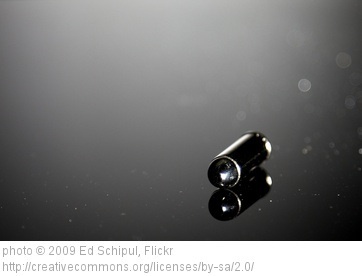 I am asked frequently what I think my “Silver Bullets” for leadership and managing people are. So I thought I would share some (Note that I didn’t think any of these up, I stole.. I mean learned them from others far wiser than I am). #1 Work hard to learn your people’s LOVE LANGUAGE. By this I mean understand what truly makes each of them feel valued. Caring for those entrusted to you by caring for them the way YOU want to be cared for, is not very productive, or very Christ like. Jesus cared for everyone he came in contact with differently based on THEIR needs, especially the Apostles (the twelve he spent the most time with). My experience is that when people feel truly valued, even when you have to be tough with them, they will be more willing to sacrifice for and buy into the cause. They will also be way more productive because the work you are having them do is not a “Wild Goose Chase”, but something you believe in, much like you believe in them. #2 Pick well and make the long-term investment. There is so much going around these days about “Mentoring” and “Apprenticing”. Both are things I have done for years and believe in strongly. But, I only mentor a small group and I apprentice an even smaller group. I have a small tribe of young leaders that I mentor, meeting with them for Starbucks or lunch and walk through things that are on THEIR mind, doing a lot of listening, praying, and just being with them. I apprentice only two who have been hand picked, knowing that I will make a long-term investment in them. Apprenticing, at least in the tech world, takes time, a lot of time. But I feel that I have made good choices and that the two young men I am apprenticing at the moment are well worth the effort. I am working myself out of a job by apprenticing and my apprentices make the journey well worth it. As I move through my career both on tech and ministry, I have found the most joy in mentoring and apprenticing. I think you might find that as well. Below are some of the things I try to do as I bring up young leaders. 1. Take them to Starbucks and get to know them. Relationships are king. 2. Drag them out of their world and into yours. Introduce them to those you know. Take them to trade shows and events. Expand their view past your organization. Let them know about the bigger world you live in. 3. Give them responsibilities in a safe environment and let them fail. 4. Debrief their failures and successes. Find out what they did and what they learned. 5. Give them limited responsibility over others and talk about it often. 6. Give them achievable goals and keep tabs on them. 7. Let them see you fail and handle it. I am sure there are hundreds of variations on these steps. A few crazy leaders saw something in me when I was young and did these very things. I have in turn done the same with those that have been put in my path. #4 Work yourself out of a job. Prepare your people to either replace you or become you somewhere else. Rick Warren has said many times that he does not want Saddleback Church to be judged on it’s “seating capacity” but it’s “sending capacity”. I believe that is also true of how you lead and raise up your people. Over my life time I have had the privilege of training up a large group of techs and leaders. I have always had one goal, to get them on the road to surpassing me in what ever we were doing. One of my mentors and friends, Pete Tessitore (R.I.P), helped me learn what true legacy is. As we installed sound systems in dozens of churches in the early 1990s he let me know that our legacy was with each church. From the moment those systems were commissioned we had a part in every life changed, every baptism, every salvation, every wedding, and every one of God’s Words spoken through those speakers. I never forgot that. It is the same with people. Train up and mentor your people with the knowledge that they are your legacy. Every thing you pour into them, is not in vain and it will become part of them, good and bad. I have had both success and failure in this, but I never give up. I want all the people that I lead, train, and mentor to go on and do things on a scale that I never will. And when they do, I celebrate it. Many of the young techs that I had the pleasure of working with have gone on to other organizations and have become ROCK STARS in their own right, far surpassing anything I will accomplish. I am not just hoping for that, I am counting on it. Finding your success in those that your have influenced will give you the ultimate satisfaction and, I believe, makes God smile.